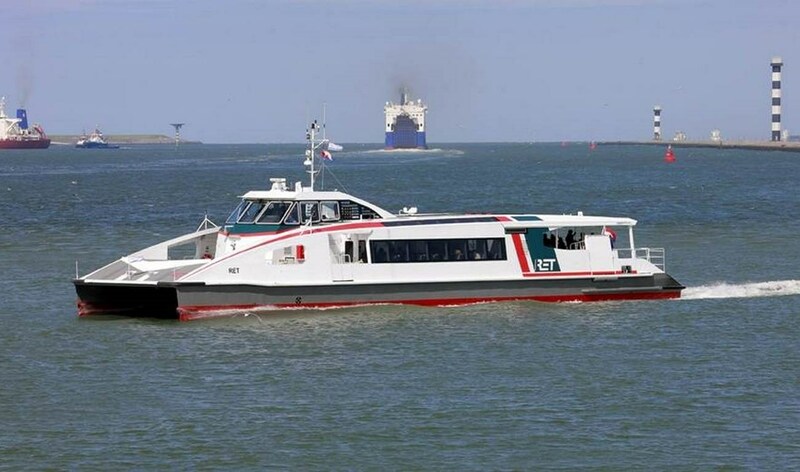 Home › Passenger Ferries › Water Bus › Damen Water Bus 3007 › Damen Water Bus 3007 "De Nieuwe Prins"
After signing the building contract between Dutch public transport company RET Rotterdam and Damen 8 months ago, the Damen Waterbus 3007 could be handed over on July 11 to RET. The vessel can accommodate 130 passengers and will operate between Hoek van Holland and the Maasvlakte. This fast connection through the Nieuwe Waterweg will be used mainly by pedestrians and cyclists.